Do you love macaroons? The delicious, chewy coconut macaroons? Some people confuse these with the colorful macaron meringue-based cookies but that’s not what we’re talking about here. Macaroons are made of mostly sweetened coconut and sweetened condensed milk. They are one of my favorite desserts (I have a weakness for all coconut desserts) and they couldn’t be any easier to make. 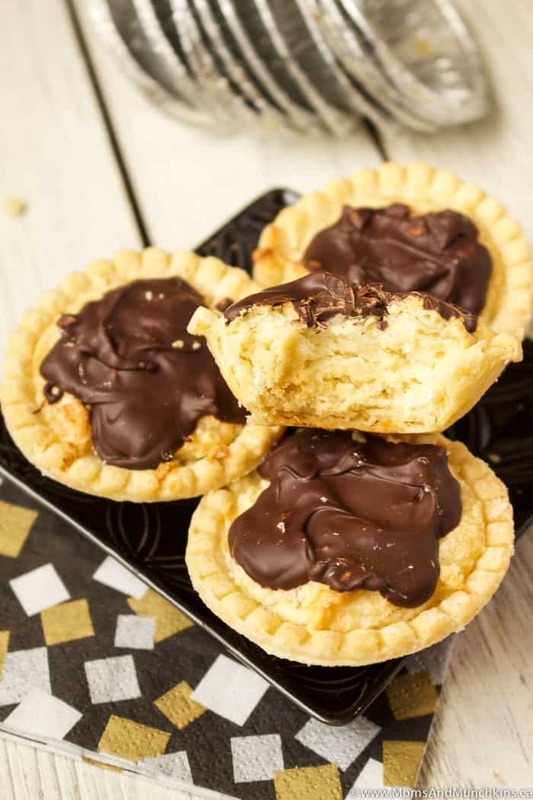 These Coconut Macaroon Tarts are basically a chewy macaroon baked in a pie shell and topped with chocolate. Yum! 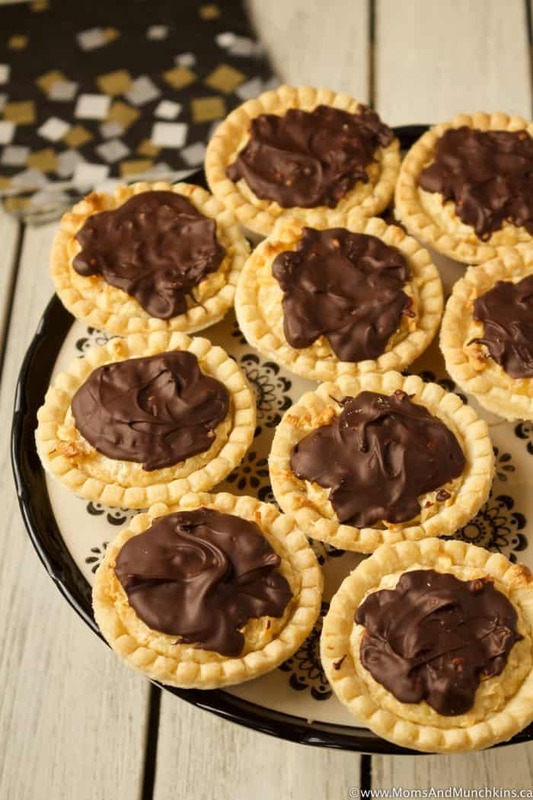 Confession – I never make homemade tart shells. 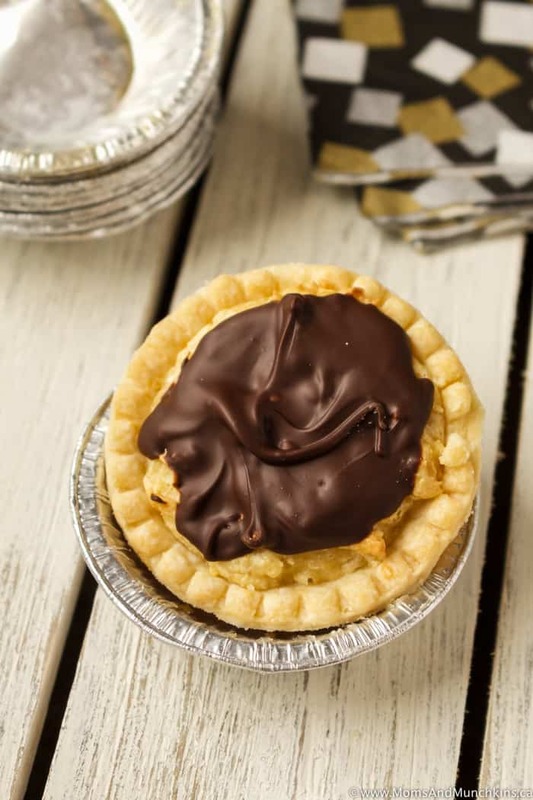 Tenderflake tart shells are my go-to because they’re delicious and it saves me the extra steps of making the dough myself. Less time preparing the desserts means you’ll have more time for eating the desserts and we all know that eating is the fun part! Let tart shells thaw on a cookie sheet (at room temperature) for 5 minutes. While the tart shells are thawing, combine coconut, condensed milk, vanilla and flour in a medium bowl. Stir until well mixed. Place coconut filling evenly into 24 tart shells (approximately 1 tablespoon of coconut filling per tart). Place all tart shells on a cooke sheet and bake for 20-25 minutes until tart shells are starting to look golden brown. Remove from oven and let cool for a few minutes while you prepare the chocolate topping. Place chocolate chips in a microwave-safe bowl and heat in microwave in 30 second intervals (stirring well after each 30 seconds). You want this melted but not hot so don't overheat this. Spread chocolate evenly over each tart. Let tarts cool completely on cookie sheet before transferring them to the fridge so the chocolate hardens. 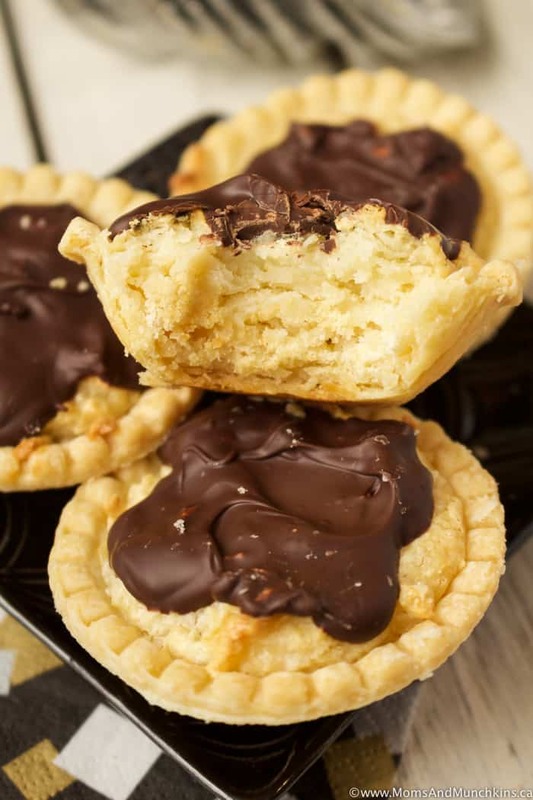 Once the chocolate has hardened, place tarts in a resealable plastic food storage bag or container. 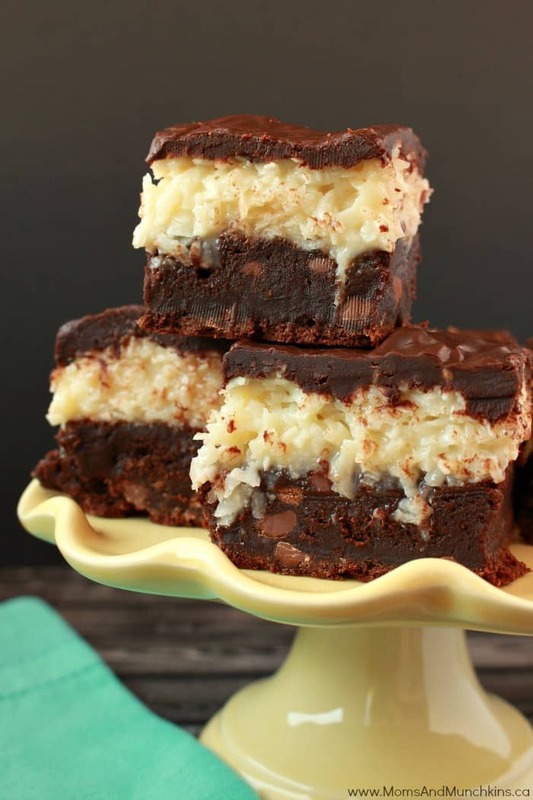 Chocolate Coconut Brownies – Totally irresistible! 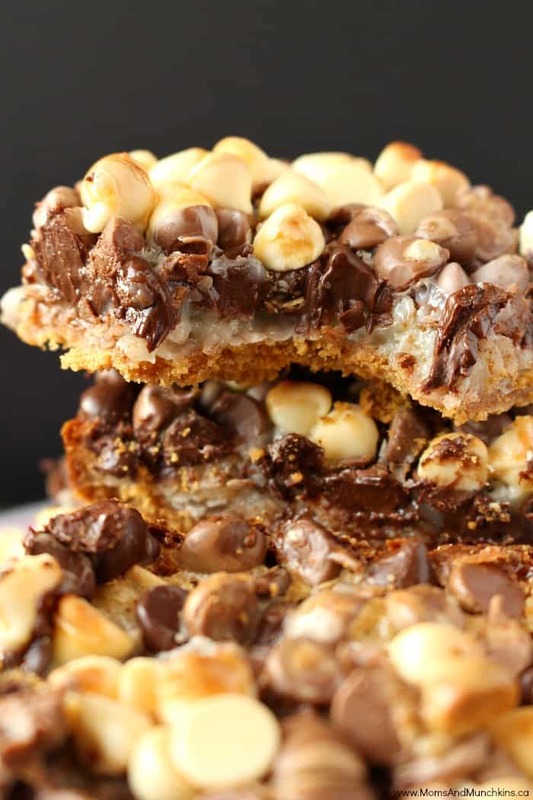 Triple Chocolate Coconut Bars – So easy to make and always a party favorite. 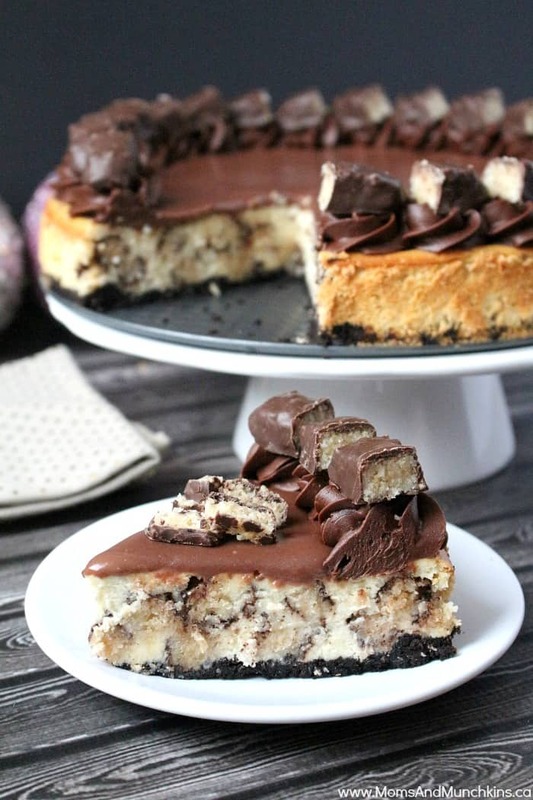 Chocolate Macaroon Cheesecake – I bet you can’t stop at just one piece! Visit our Recipes page for even more delicious ideas. Stay updated on the latest recipes and home entertaining ideas by following us on Facebook, Instagram, Twitter and Pinterest.